Good. 8vo. Blue leather binding with gilt lettering and decoration to spine and gilt crest to front cover. Marbled edges and endpapers. 582 pages. Tissue protected frontis of Montaigne. This is Volume (Tome) II only. Volume 1. This is an ex-library book and may have the usual library/used-book markings inside. This book has soft covers. In fair condition, suitable as a study copy. 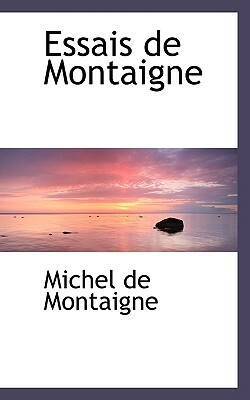 Volume 3 (Livre second, pages 241-698) and Volume 4 (Livre second, pages 699-817, Table des choses plus remarquables contenues en la seconde Partie des Essais de Montaigne, and Livre troisieme, pages 1-164. No date found, look to be early 1800s. Marble effect covers. No title pages. Backstrips have illumination and fading at joints. Corners damaged and worn. Marble edges. Text in fair condition. This book has hardback covers. Ex-library, With usual stamps and markings, In fair condition, suitable as a study copy. Citations que renferme le texte, par J. -V. Leclerc 576+583 pages, portrait frontispieces, hardbacks (rebound in cloth), previous owner's initials and 1911 written on end-paper, very good undated ex-library copies.